There is a lot of interesting tourist spots in Amsterdam. Amsterdam is located in the province of North Holland, and one of the attractive tourist destinations in the summer (June to September). 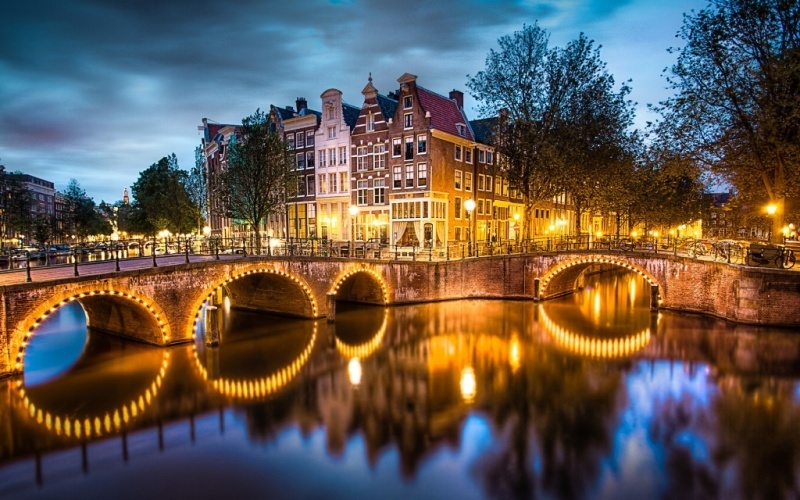 The largest city in the Netherlands (Amsterdam) has a varied life in its society, as it is currently inhabited by various ethnic groups from all over the world. Amsterdam is the capital of the Netherlands, and the canals in Amsterdam has been called the "Venice of the North", which has a channel length of more than 100 kilometers, about 90 islands and 1,500 bridges. Three main canals, Herengracht, Keizersgracht and Prinsengracht, illustrate the triumph of the Netherlands in the 17th century the Dutch golden age. These channels form a concentric belt around the city, known as the Grachtengordel. In addition to the main channel, there are also monumental buildings as of 1550 to 17 regional channels including the Prinsengracht, Keizersgracht, Herengracht and Jordaan, has been immortalized into the UNESCO World Heritage List. Dam Square has become a pride tourist attraction in Amsterdam. 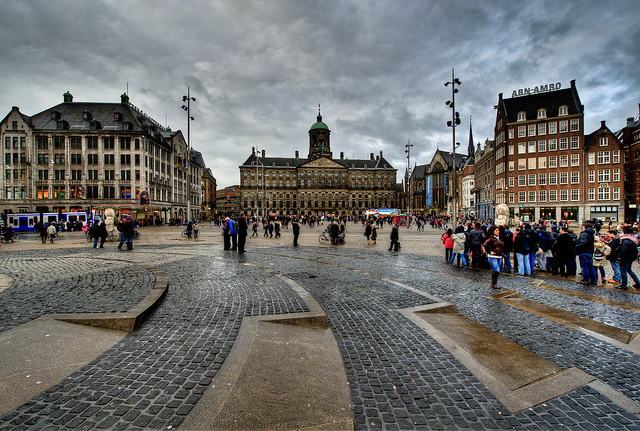 Marked by the Royal Palace on the one hand, the national war monument on the other side and with a number of impressive buildings facing to it, making Dam Square is really the center of everything in Amsterdam. During the summer, the place is full of tourists, mostly locals and frequent travelers which mingle together. Buskers, food vendors, as well as demonstrations, often add to the crowds on Dam Square. If you are there, remember to visit the Royal Palace, and do not forget to also look at the direction of the National Monument, or you can try some local beer in the bar that flank in the square, and you may even want to look for a sexual thrill by taking a detour through the side of the road leading to the red light district. 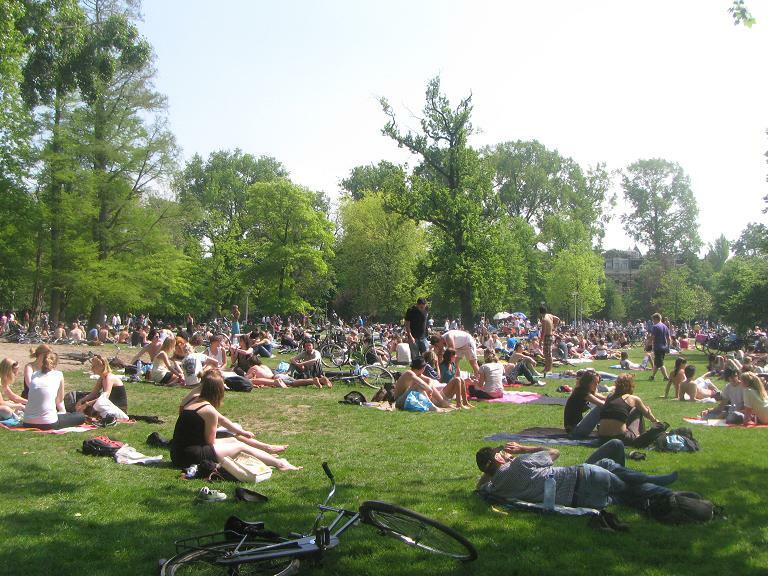 When you've tired yourself to see the object, or the tourist attractions in Amsterdam, you need to enjoy some peaceful and green place, then you are suggested to try to get out to some of the parks. Vondel Park was built as a base for bourgeoisie road in the 1860s; the Vondel Park has an English-style, not to mention grass, bushes and winding walkways for pedestrians. Due to its location, right in the middle of the city, has made it as a favorite place for tourists and locals. Located directly from Stadhouderskade, Heineken brewery used to be a brewery until a few years ago, but now it has become a museum and a center of tourist for visiting. For the fee entrance, you are charged around 10 euros, and the ticket sales will be donated for charity. You will get a fascinating tour and free to drink beer. 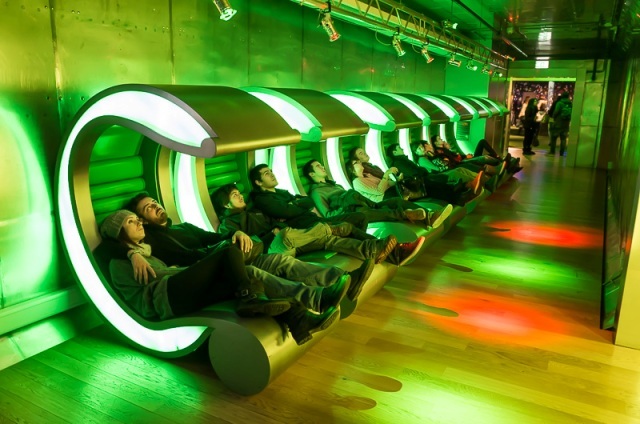 In this place, you can see the Ladder made of glass, copper vats, theater, and studios to create your own video and mix your own music, there are also some of the attractions which are included in the tour at the Heineken Experience. National Monument is frequently associated with its proximity to the red light district, yet this place is a National Monument, and the most famous memorial to the Dutch who passed away in World War II. 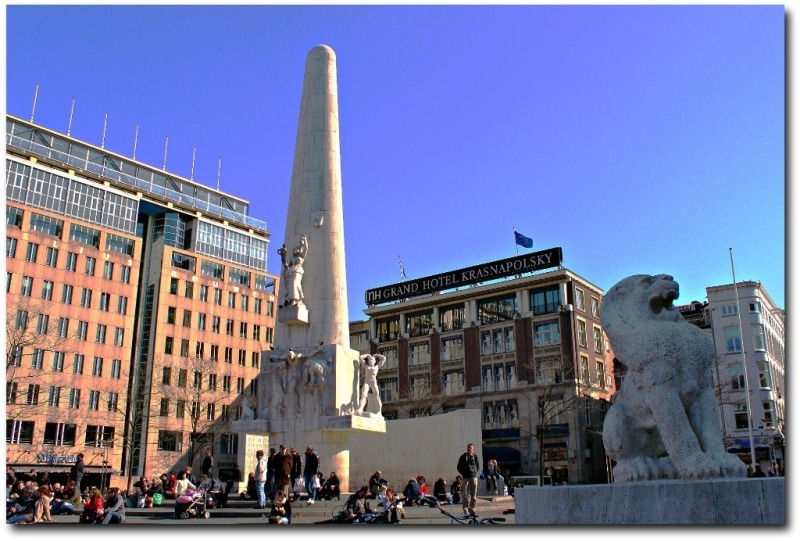 This monument was placed in Dam Square; this monument is a symbol of the two lions and has some symbolic sculptures in the pedestal: four men (the war), a woman with a child (peace), and men with dogs (resistance). Now every year a ceremony is held every May 4 in this place to commemorate the victims of war. Your Amsterdam vacation would not be completed without visiting national monument. Vincent van Gogh is a famous artist from the Netherlands. No wonder if there is a large museum which contains a collection of his paintings. There are more than 200 paintings in the museum, starting from the beginning of his career to the most famous works. Do not be surprised if you have to queue when you want to go into the museum, it’s because his work has attracted many tourists. Who is not interested to visit the home of Queen Beatrix? If she is not in place, tourists can explore the inside of a beautiful and magnificent palaces. the hanging Carpets and crystal chandeliers become the beautiful scenery to be seen. 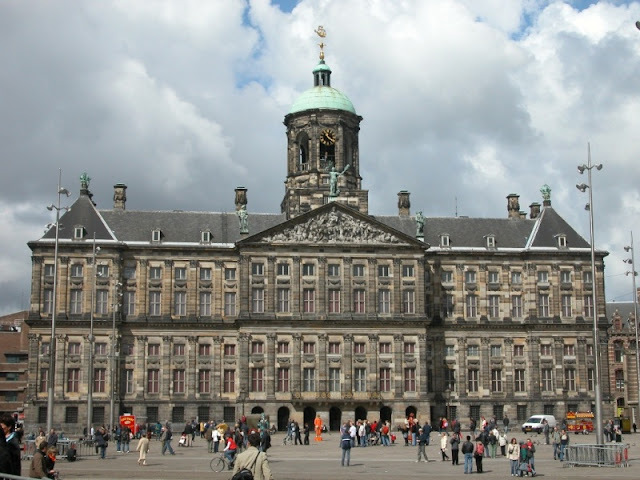 The palace was completed in 1665 and deliberately constructed to demonstrate the glory of the Netherlands. 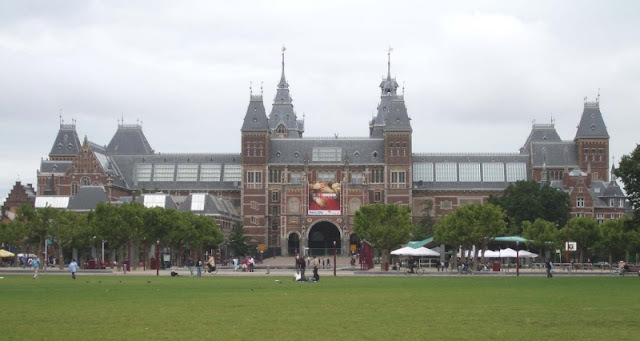 Art lovers will forget themselves while in the Rijksmuseum. The first art museum in the Netherlands has just been refurbished for 10 years. Now is the time to dive shapes and new concepts of this museum. 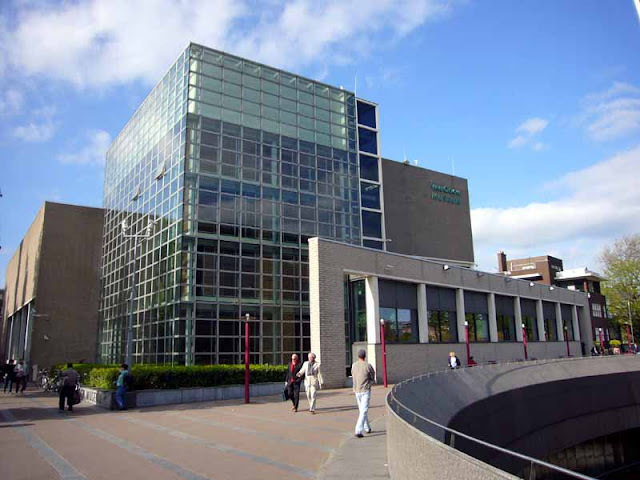 There are 75 thousand works of art are on display here, including the Rembrandt and Vermeer. Anne Frank, a Jewish little girl isolated from the outside world by his family to protect them from Nazi attack, has become the most interesting stories in the literature of the 20th century. 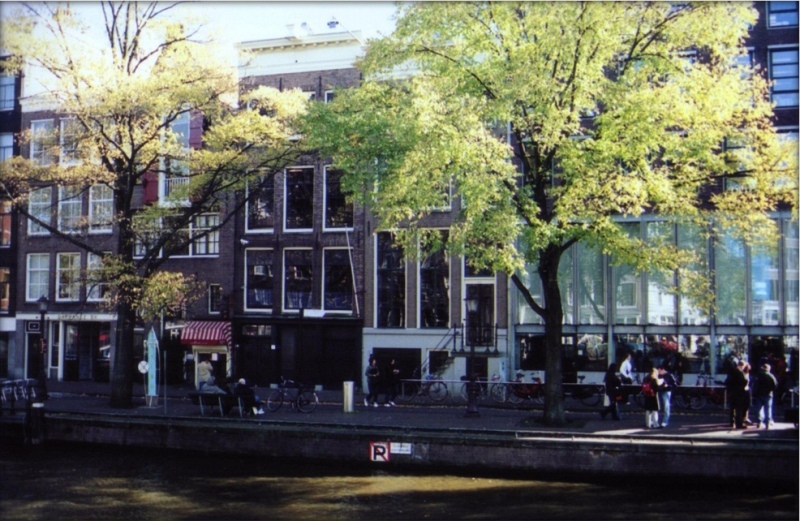 The house which is used as a shelter of Anne Frank also attracts many tourists. There are millions of tourists who come to this place to walk in the halls which were told in "Anne Frank" literature. 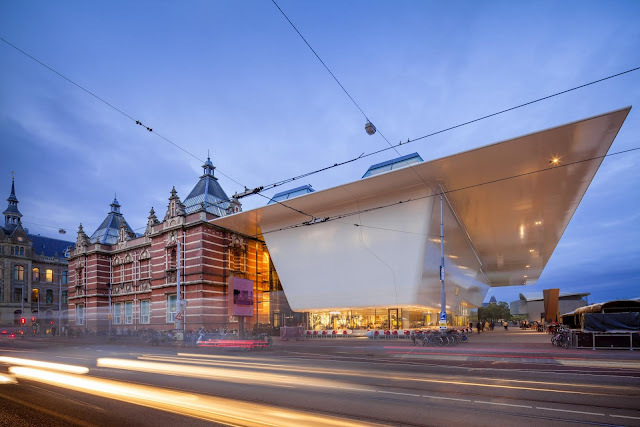 If the Van Gogh Museum and Rijksmuseum is more focused with the classics, the Stedelijk Museum is a storehouse of works of modern art. The museum is exhibiting works of art belonging to Monet, Picasso, Matisse and a variety of artists who lived in the 19th century and 20. Enjoy your times there by seeing their work. Your Amsterdam vacation would not be accomplished without visiting 10 popular places in Amsterdam as it’s shown above.